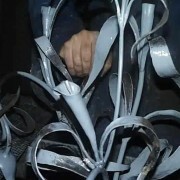 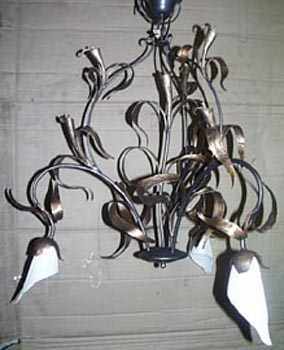 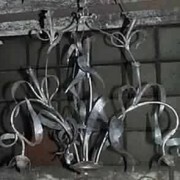 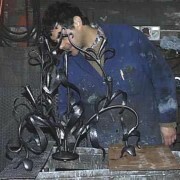 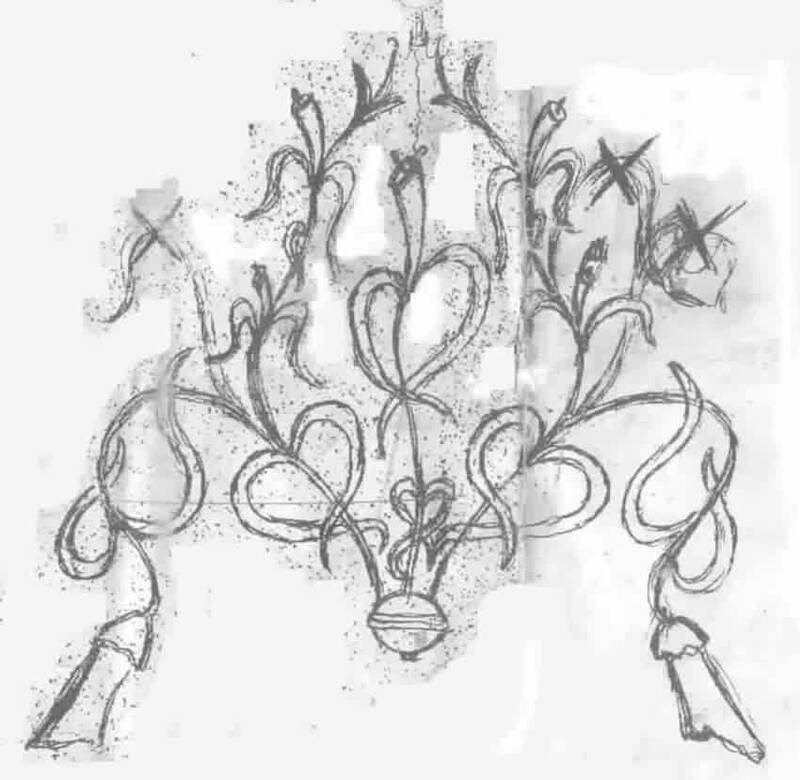 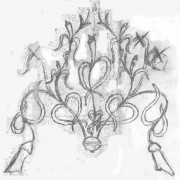 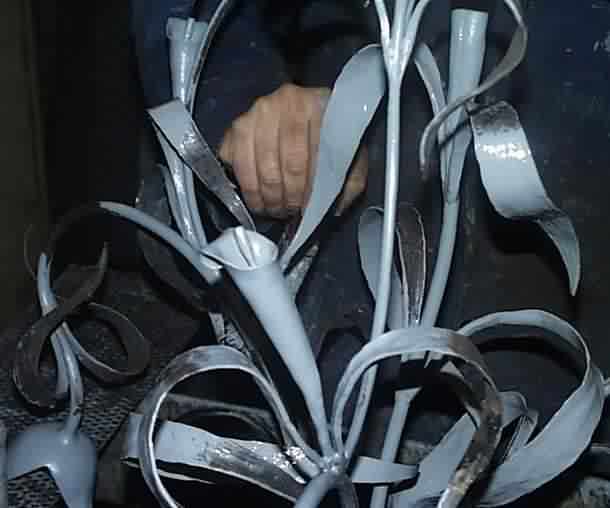 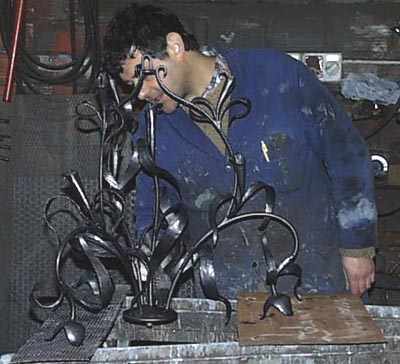 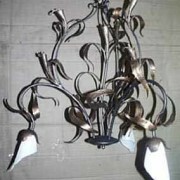 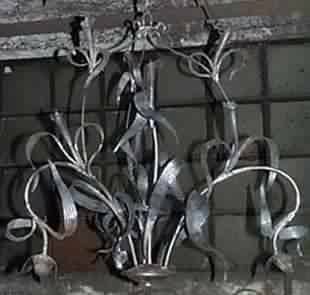 We start from the sketch, the chandelier consists of 4 branches reminiscent the flower of Calla. 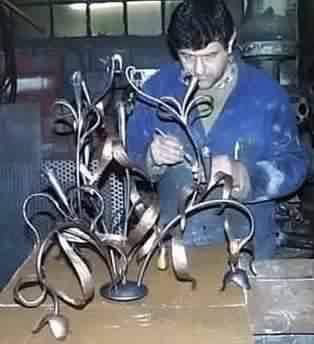 The base of the work will be given to the movement of 28 leaves that develop together in harmony, very willing to fill the spaces. 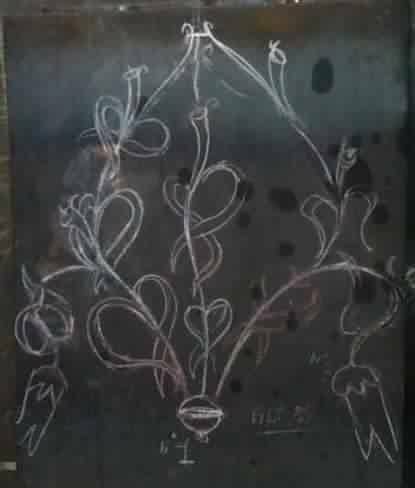 First, draw the design with chalk on sheet. 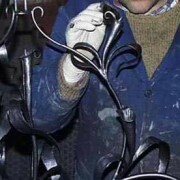 Will serve for the shaping of the leaves in full size. 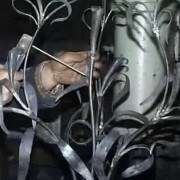 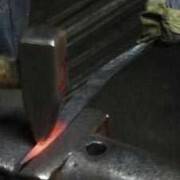 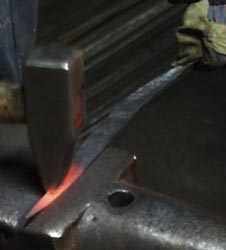 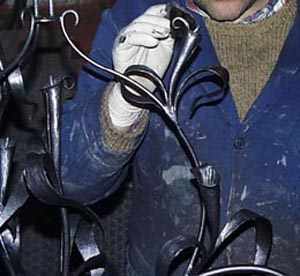 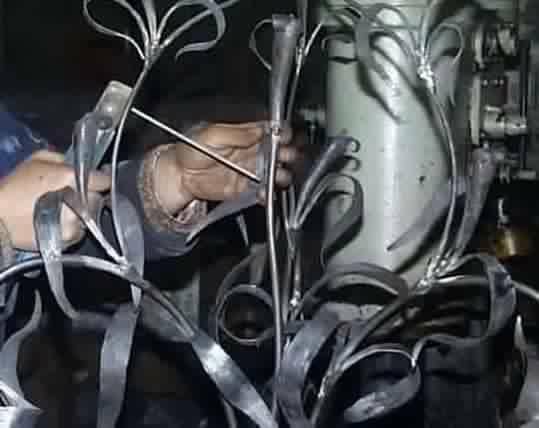 We forge the leaves and proceed to give him the required shape. 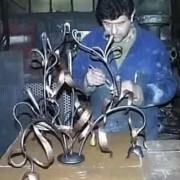 We realize the cups sheet and those to the base. 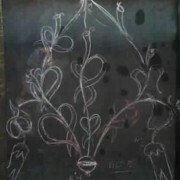 So let the paint with a coat of anti-rust primer, two coats of enamel graphite black and gold feathered decoration of flowers and leaves, then a protective clear coat.